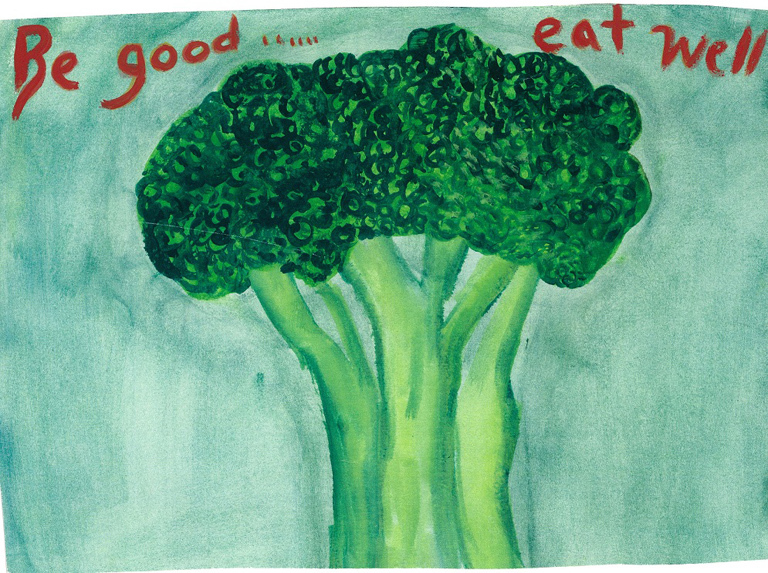 Come to the Eat Well, Be Well Art Show with watercolor art work by Rose Jarvey! Bring your kid-friendly food donations for the Greenwood Food Bank and get a free raffle ticket to win one of two prizes! First Prize: Print of any Rose Jarvey watercolor art work! Second Prize: Basket full of healthy fruit and veggies! Most children of needy families will go hungry in the summer months because they are not offered free lunch from school lunch programs. Most needed items are: nut butters, canned beans, dried beans, rice, canned fruit and veggies, dry cereal, crackers, packaged snacks, pasta, diapers, canned milk, and formula. Thank you for your support! Any and all donations are appreciated. We will also be selling Dino Kale starts for two bucks! All the proceeds will go to the Greenwood Food Bank! Thanks again and we hope to see you there! Wilder Reinfried Duo: Boasting a combined 36 years of musical experience, pianist Lesleigh Reinfried and violinist Lauren Wilder bring an inexhaustible charm and brilliance to their performance style. Individually, Wilder and Reinfried have performed at international venues and studied under world-class performers. As educators and performers, they showcase their versatility from the classroom to the concert hall, breathing life into repertoire from classical, to French tangos, to pop favorites, and everything in between! Artists present. Open only until 8pm. Oil on canvas artwork by Beth Betker. Artist present. Multi/Mixed media show featuring: Leela Pastala, Carla Madrigal, Lem Bartley, Lisa Bartley, Carl Bartley, Krista Jefferson, Doriane Nieburgs, Michael King, Barbara Zander, Lois Gaylord, Cyndi Wolfe, Gay Jensen, Karen Leonard and Cathy Cooper. Artists present. There are few issues In America as controversial as the Second Amendment. You may be a gun aficionado, a marksman, and anti-firearm activist, or simply a citizen who is not quite sure where they stand. Recent events have polarized Americans and our local community on an issue that has always had explosive undercurrents. Join artists in a visual dialogue with the community that questions, examines, celebrates, criticizes, and queries the right to bear arms. This exhibit will include artists who are gun collectors and artists who are anti-firearm activists and those who hold opinions that range between the two extremes. Featured artists include: Rodrigo Valenzuela, Greg Lundgren, Kate Protage, Adream de Valdivia, Frank Germano, Rick Klu, Tatiana Kalderash, Crystal Barbre, Stanley Porkoski, Sam Wood, Dan Voelker and Miguel Edwards. Guest curator: Siolo Thompson. Artists present. Foil collage by Amelia Sherritt. Artist present. Live Music by Mary Flower–PNW Folklore Society Concert 7:30pm. 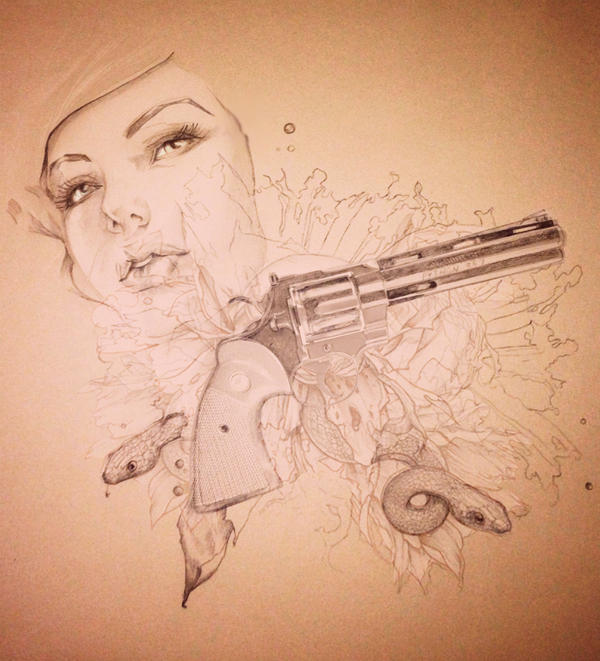 Rotating monthly urban contemporary art by Seattle artists. Artists present. Painting, encaustic and mixed media works on paper, board and canvas by Teri Anne. Fine art photography by Alexis Henry, oil paintings by Patrick Gonzales and acrylic paintings by Jon Moore. Artists present. Shelli Markee is a silversmith and wire artist known for her raw and rustic style. Inspired by nature and beauty in organic and simple forms, Shelli carefully handcrafts each piece in her collection. 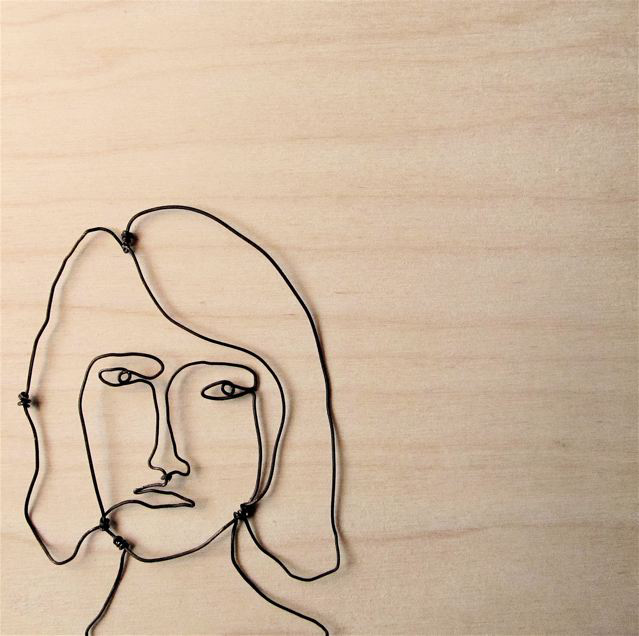 Rustic and modern at once, her sculptures on rough-cut wood blocks create contoured drawings with the use of wire and negative space. These sculptures include wire lampshades, flocks of birds, human figures, flowers, furniture, and wire writing. Shelli’s jewelry creations include large rings she calls “armor”, as well as earrings, bracelets, and necklaces. Shelli works from her home studio in Seattle. Artist present. 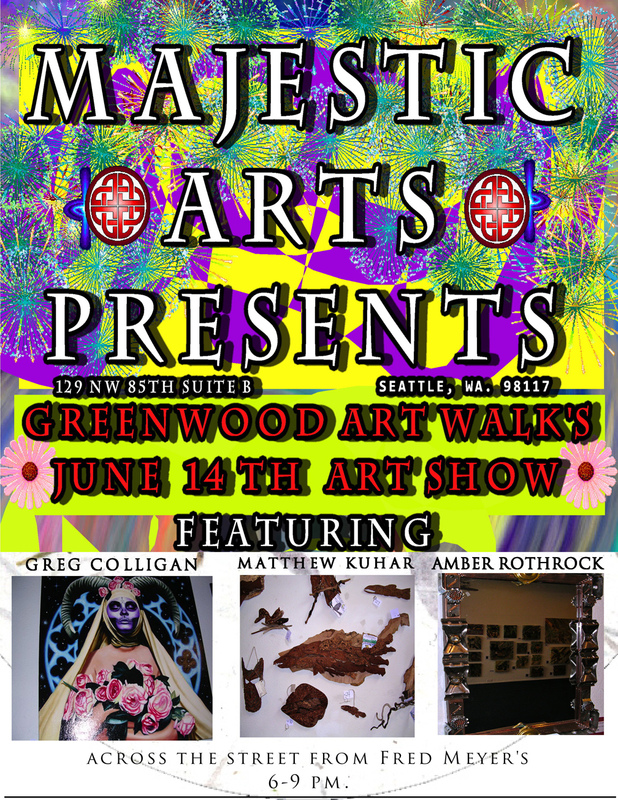 Majestic Arts Presents is excited to have 3 wonderful artists this month! Artist (s) Media: Greg Colligan, acrylics, tattoo inspired art. Amber Rothrock, chains and found metals, urban strength original picture frames and mirrors. Matthew Kuhar, wood carving, magical wood carvings. 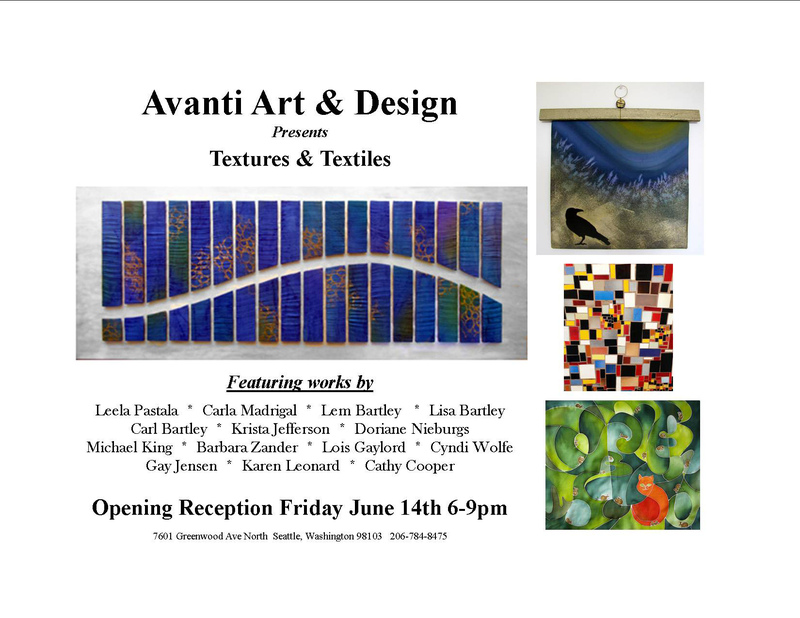 Come to the show and see the great gallery space we have! All artists will be present! Right across the street from Fred Meyer’s. Toy dinosaur photography prints by Jon Aiken. Artist present. Figurative art in mixed media by Corina Moser. Artist present. 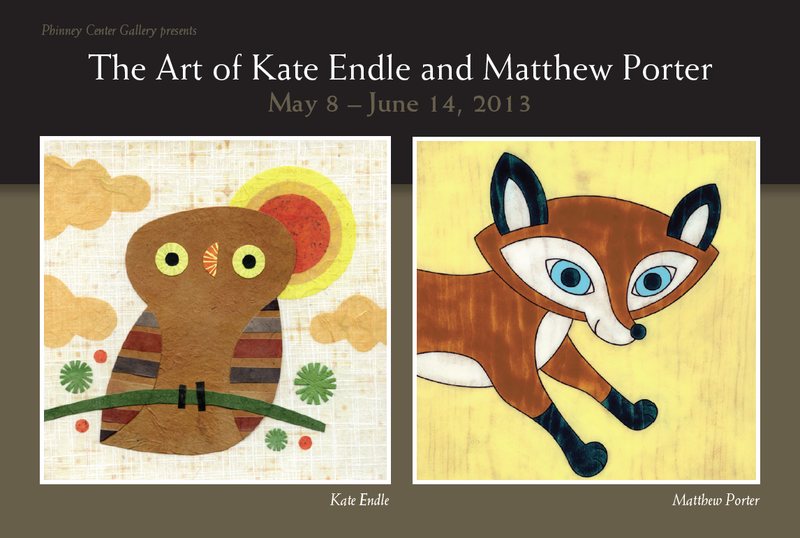 Collage and paintings by Kate Endle and Matthew Porter. Stop by for light hors d’oeuvres and beverages. High Dynamic Range (HDR) Photography on canvas by Taylor McAtee. McAtee has amassed quite the collection of urban and natural scenery from local landmarks to exotic vistas, all the while providing a viewpoint that is distinctly different and transports the viewer to another world. Also, Film photography to giclee prints on canvas by Joel Clarin. Joel chooses to work with traditional film cameras, then creates traditional silver gelatin prints or Giclée prints on canvas. Joel tends to prefer black and white images, because it further abstracts the image from the actual space and time it was recorded. His subjects are ‘landscapes’ that attempt to find the grandeur within the ‘ordinary’ and often overlooked. Artists present. The Studio of Awesome presents, in conjunction with Warlock Labs, our very first “Geek Dad Celebration!” featuring gifts and cards by artists and craft makers that celebrate awesome Dads! Stop by the studio (just above Mori Japanese Restaurant and across from Fred Meyer) and play some old-school video games, watch some movies, and buy a great last-minute gift for that special guy in your life at our mini Pop-up shop at the Studio of Awesome! We’ll have everything from handmade cufflinks to artisan made solid colognes to travel kits to extra special cards! Featuring: Sweet Anthem Handmade Perfumes (artisan colognes), Madrigal Embroidery (vintage ties), Starace 1919 (dopp kits), The Paper Feather, LaRu (belt buckles), Kathy O Inspirations (men’s jewelry), Tutta Lou Press (letterpress cards), One Eyed Collie (cufflinks), Orange Twist Cards (screenprint cards), IMakeCuteStuff (cufflinks). Some artists present. 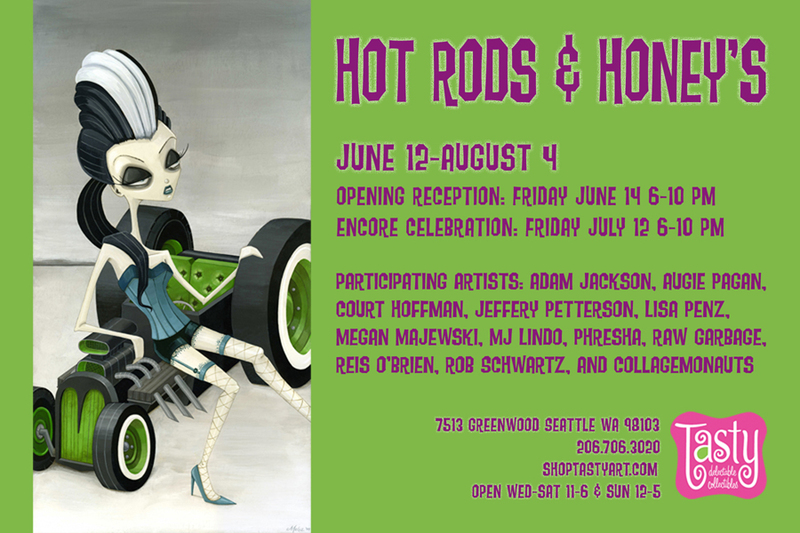 Through June & July Tasty is exhibiting a 2 month group show featuring snazzy wheels and luscious ladies in a show we call: HOT RODS & HONEYS. Artists include: Adam Jackson, Augie Pagan, Court Hoffman, Jeffery Petterson, Lisa Penz, Megan Majewski, MJ Lindo, Phresha, Raw Garbage, Reis O’Brien, Rob Schwartz and The Collagemonauts. Artists present. 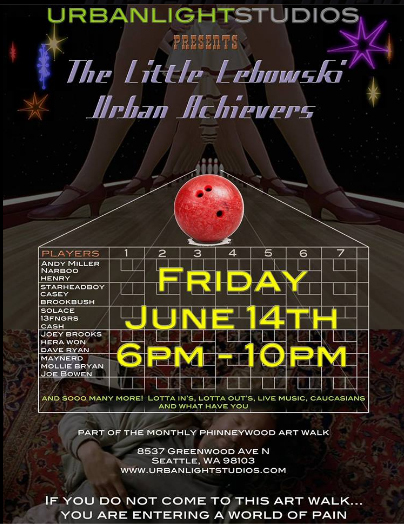 “The Little Lebowski Urban Achievers”. We have called upon all of your favorites; Ryan Henry Ward, Andy Miller, Narboo, Starheadboy, Solace Wonder, 13FNGRS, Maynerd, Casey Brookbush, Joseph Brooks, Hera Won and we will be welcoming some brand new artist blood…that’s right….this will be a well rounded Dude fest! Live music that will of course consist of covers of songs featured in the movie, caucasians, bowling and nihilists 🙂 One more thing….that rug really ties that flyer together…does it not? Paintings, drawings, jewelry and mixed media sculpture by Scott Faulkner, John Schmeising, Dalton Webb and Tom Dougherty of “I Dream of Jewelry”. Artists present. Emma Jane Levitt is a Seattle-based artist working in printmaking, collage, photography and artist books. 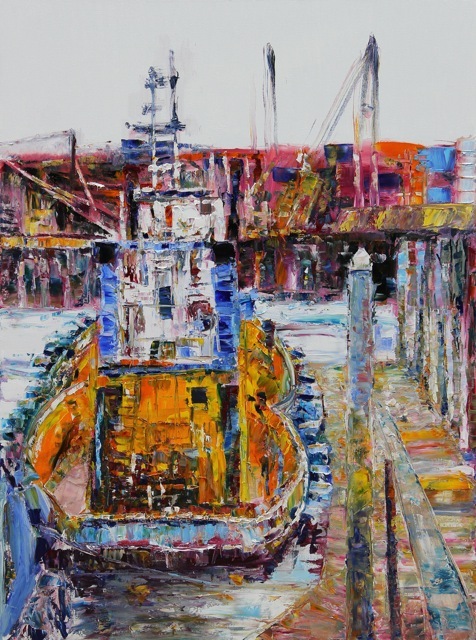 Her work is strongly influenced by her experience living, working and traveling afloat. *Art venues offering art walk discounts and specials.